Did you hear that avocado toast is ruining a whole generation? That’s what one Australian tycoon told 60 Minutes last year, saying millennials can’t afford to buy homes because they keep splurging on “smashed avocado for $19.” Excellent point, guy. It’s not stagnant wages or metastasizing student debt that keeps young people from buying homes. It’s avocados. 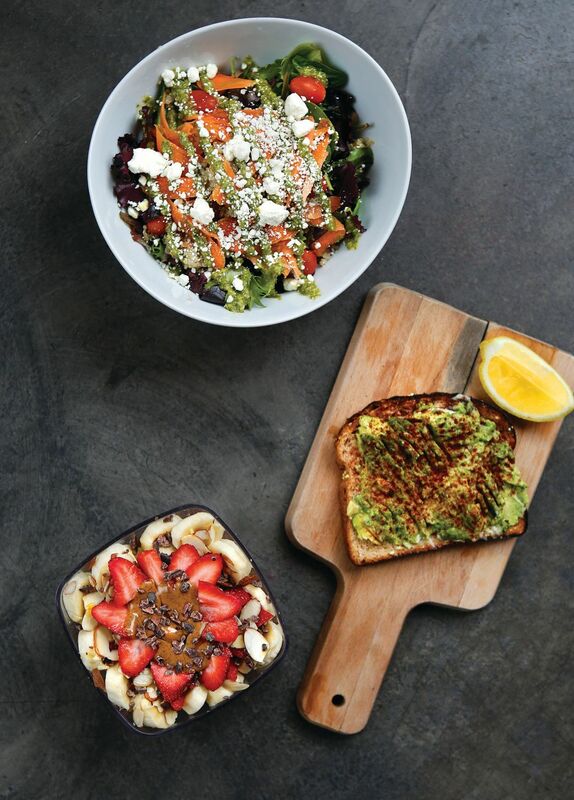 To get a taste of a temptation so sinful that it’s bankrupting a generation, I recently swung by Island Organics, a downtown café that specializes in smoothies and healthful breakfast and lunch dishes, including, yes, avocado toast. 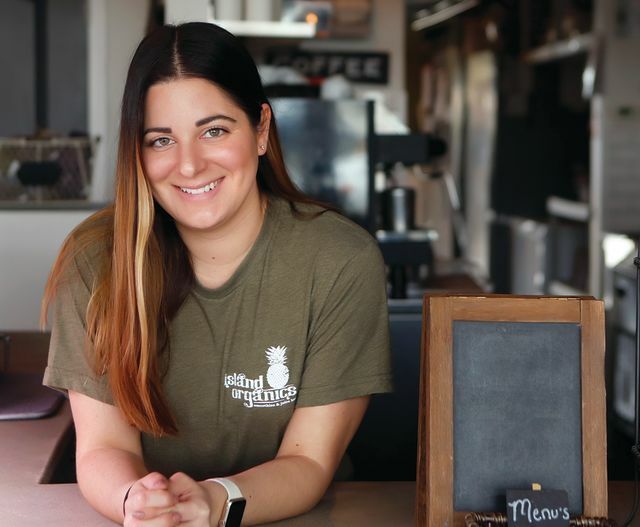 Alexa Dippolito, 23, opened the eatery five years ago after moving to Nokomis from the Philadelphia suburbs with her family. Her mother, Kathy Dippolito, works at the shop, too, focusing on the financials, while Alexa’s fiancé, Yuri Kogut, manages the kitchen. What began as a stripped-down smoothie and juice shop has grown, adding both menu items and space. Originally a cramped grab ’n’ go spot, Island Organics expanded last year and now boasts about 20 table seats, plus a four-pack of stools near a front window that looks out onto Miami Avenue. During my visit, the shop is doing brisk business with both sit-down diners and carry-out sippers seeking the shop’s excellent drip coffee ($2.25-$2.75) and espresso drinks ($3-$3.75). Retirees and young people dressed in workout gear (I can’t tell if they’re warming up or cooling down) pop in and out all morning. The buzz of the blender mixing up smoothies hangs in the background, while a wheatgrass juicer extrudes a long rope of fibrous scrap material. Herbs like basil, mint and cilantro, incorporated into the café’s menu, grow in small pots hung on the back wall. Dippolito didn’t study to become a chef, but she does have a background in nutrition, evident in her café’s emphasis on organic ingredients and plant-based dishes like salads and quinoa bowls. She also offers exotic add-ins like protein derived from hemp; spirulina, an edible blue-green algae; and a powder made from the Peruvian root maca. Dippolito says the key to her cooking is to start with whole foods—basic items that don’t carry long lists of ingredients already packed in. Sounds marvelous, but does it taste any good? A pesto quinoa bowl comes in either a whole ($12) or half ($6) portion, with a stimulating mix of greens, carrot, tomato and feta, plus the pesto and quinoa. The quinoa is fluffy and well-seasoned, and the bowl is elevated by a bubbly, freshly whipped vinaigrette. For a taste of something sweet that still qualifies as somewhat healthy, opt for a smoothie bowl. Popular in places like Brazil and California, a smoothie bowl is a parfait of sorts. The foundation is a smoothie made out of non-dairy milks like almond and coconut, with stacks of ingredients on top. A 16-ounce cocoa bowl ($10) includes a smoothie base made out of chocolate almond milk, açaí, banana, strawberries and cocoa powder, blended up and then topped with granola, banana and strawberry slices, almond slivers, cacao nibs, almond butter and honey. Everything in the dish tastes bright and sharp—sweet, but never sugary. And then there’s the avocado toast. Two slices will run you $8; a single slice costs $5. To make it, Dippolito toasts a wedge of sprouted multi-grain bread, then uses a fork to streak through the sliced avocado and spread it around the surface. It comes flavored with egg-free mayonnaise, lemon juice, garlic salt and a shake of rusty paprika. The avocado is so ripe it’s glowing, and the bread offers a hearty crunch and earthy flavor. I’m not sure I’d throw away my entire financial future for it, but it’s sublime.